Embracing life with passion and purpose, Nancy Ferrari presents her guests to “Feel Free in the O.C. 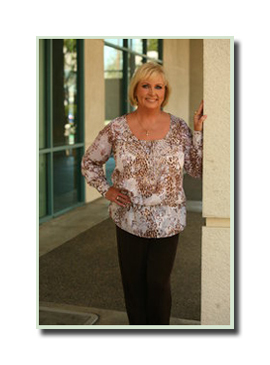 with Nancy T.” with an energetic, vivacious spirit, sharing her messages of healthy living in all aspects. Nancy shares her voice freely with enthusiasm, clarity and honesty and encourages others to do the same. Nancy celebrates that her life has come full circle as she applies her communications/journalism education, proudly hosting her BlogTalkRadio Show “Feel Free in the O.C. with Nancy T.”, also syndicated with Boomer Authority Radio Network. Nancy has been a featured guest on various internet radio shows, most recently as a guest speaker at the 2010 AARP Convention sharing her knowledge of life energy. Nancy is the founder of her newly launched company “The Ferrari Energy Network” and looks forward to sharing upcoming events within this network of endless energy! Nancy welcomes correspondence from listeners and can be reached via email, at nancy.t.ferrari@gmail.com . Additional information can be obtained by visiting her radio website at www.blogtalkradio.com/nancytferrari and her personal website at www.nancyferrari.com .